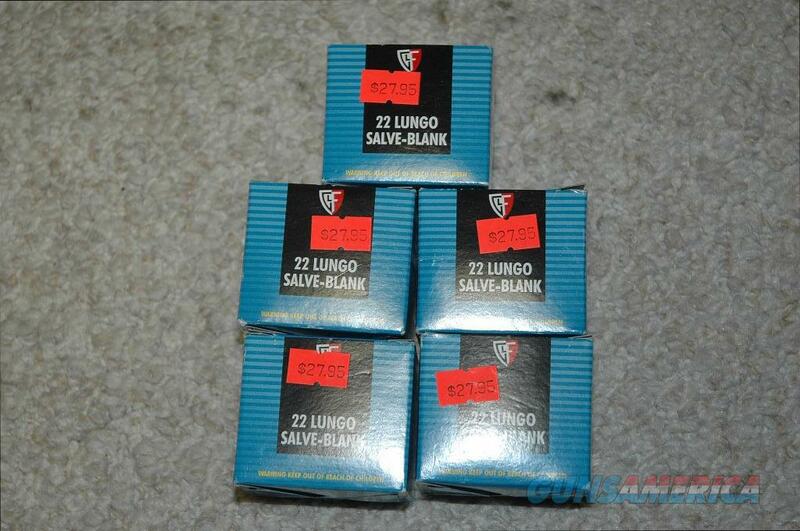 Description: For sale 5 boxes of Fiocchi Shooting Dynamics Pistol/Revolver Blanks. Fiocchi offers a line of specialty blank cartridges used by military re-enactors, in ceremonies, for training exercises, or theatrical productions. Blank ammunition provides the report and realism of conventional ammunition without the projectile. Fiocchi popper blanks are the most popular and successful loads on the U.S. market for use in hunting dog training competition. All Fiocchi blanks are manufactured using brass cases. Most rimmed cases now incorporate crimped primers for greater reliability when used in revolvers.